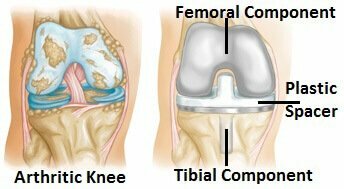 Total Knee Replacement Surgery: What Does It Involve? 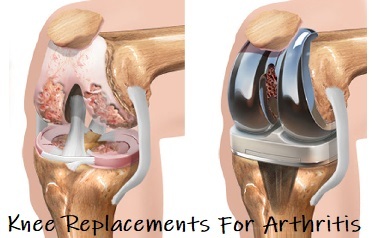 Total knee replacement surgery is a common operation to treat advanced arthritis. An orthopedic surgeon removes the damaged and worn part of the joint and replaces them with a new artificial knee made of metal and plastic. 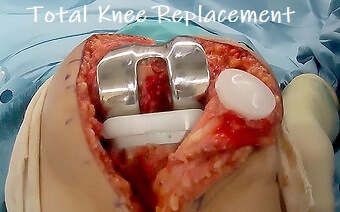 The aim of a knee replacement is to significantly reduce pain and improve function. Here we will look at how you prepare yourself for surgery, what the operation involves, and what happens afterwards. This is intended as a guide as to what happens for the average person undergoing total knee replacement surgery, but remember that everyone is different and recovery will therefore vary slightly from person to person. Always follow the advice of your surgeon or physical therapist. Before having total knee replacement surgery, you will have a pre-op appointment a few days/weeks before your operation where the surgeon will review your x-rays and talk you through what is going to happen. This is a good opportunity to ask any questions you may have. This video from the American Academy of Orthopedic Surgeons has loads of top tips on preparing for joint replacement surgery. At the same appointment you should also see a physical therapist who will talk through knee replacement rehab and recovery e.g. exercises for you to do after the operation. It is well worth doing these exercises before the surgery as the stronger and more flexible your knee is before surgery, the quicker you will recover afterwards. Visit the knee replacement exercise section for suitable exercises. Now let's have a look at what happens during the surgery. If you would like to actually see what happens, visit the knee replacement video section. On the day of your operation you be admitted to hospital and then have your total knee surgery. A vertical incision (cut) is made on the front of the knee, usually about 8-10 inches long. The kneecap is moved to the side to expose the joint. The surgeon removes the damaged bone and cartilage. In most cases the anterior cruciate ligament (ACL) is removed and often the posterior cruciate ligament (PCL) is too. The collateral ligaments are preserved. Femoral Component: this curves around the bottom end of the femur and has a groove in the centre for the kneecap that mimics the trochlear groove. This allows the kneecap to glide smoothly and freely up and down as the knee moves. Patellar Component: if there is arthritis at the back of the patella as well, a dome-shaped plastic component can be fitted. The appropriate components are attached to the bone and held in place with cement. The wound is then sewn up with stitches. A dressing will be placed over the wound and the knee will then be bandaged to help reduce swelling. Total knee replacement surgery takes about 2 hours. Recently a new design of prosthesis which fits around the cruciate ligaments has been developed but there are few studies comparing its performance to a regular knee replacement at present. After your total knee replacement surgery, you will return to your ward and the nurses will ensure you are getting adequate pain relief. Either later that day or the next morning, a physiotherapist will come to see you and help you get out of bed. You will most likely be able to fully weight bear on your new knee (i.e. put as much weight through your leg as you feel comfortable doing) within 24 hours but you may need to use a frame, crutches or sticks for the first few days. You will start your exercises straight away and will progress through the rehab programme as instructed by a physical therapist. Visit the knee replacement exercise section for suitable exercises. About a month after total knee replacement surgery you should be noticing a lot of improvement in your knee. However, it is normal for it to be swollen and uncomfortable the first few days following surgery but the pain settles down within a few weeks. You can help reduce the swelling by using Ice and Tubigrip (a special compression bandage). It is really important to be doing exercises to build up the strength and flexibility around your knee to gain the full benefit of total knee replacement surgery (see the knee replacement exercise section). You will be able to stop using any walking aids such as crutches or sticks as soon as you feel able – usually in a few days, and certainly by six weeks.